Don't take it for granted: The rack is important. Here's how to do it right. Racking the balls before a game of pool is not something we usually give much thought to. Yet, the quality of the rack should not be overlooked. If you have a bad or loose rack, the break will suffer, and so will the overall game. For example, a loose rack with the wrong ball placement can result in a weak break, with a cluster of easy shots formed right in the middle of the table for your opponent. 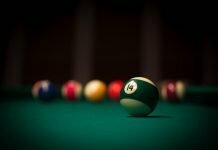 Luckily, learning how to rack correctly is not hard at all, whether it’s 8-ball, 9-ball or one of your other favorite billiard games. 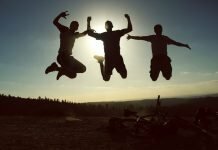 So, we should all at least know the basic rules for how to rack these games, as well as the right technique for achieving a tight and cohesive rack. 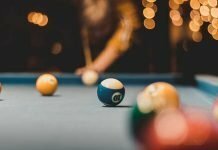 In this post we’ll provide a simple but complete overview of how to rack pool balls for the most popular games, along with some tips for getting it right. 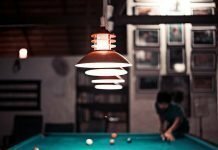 As most of us know, there are specific rules for how to rack pool balls depending on what game you’re playing. The number of balls and type of rack are also different. 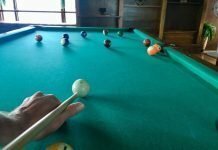 If you need a quick refresher, keep reading for how to rack pool balls in 8-ball, 9-ball, 10-ball, straight pool, and cutthroat pool. Before we get into the rules, it’s worth noting that most professionals recommend using a racking template and tapping the balls into place. Some tournament level tables will even have the template on the table itself. While this may be the best approach, most of us will be playing at a bar or friends house and using the standard wooden or plastic triangle or diamond shaped racks. This is the far more common approach, and the one addressed by the following rules. 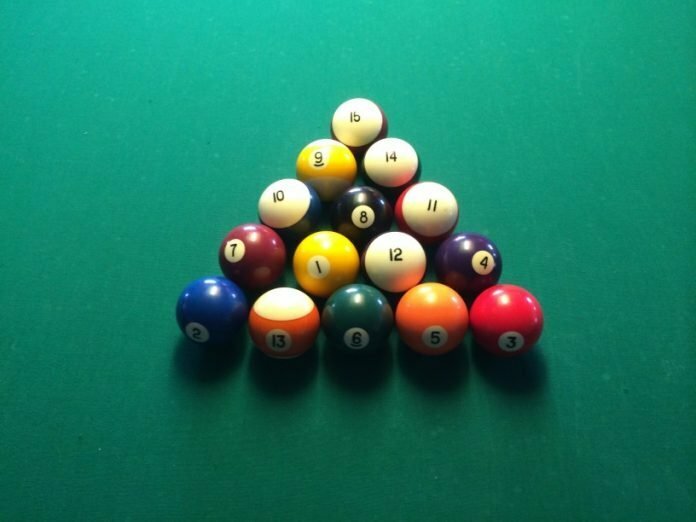 In eight-ball there are 15 object balls racked in a triangle. The 8-ball must be placed in the center. This is the first ball directly below the apex ball. The apex ball sits on the foot spot. Most tables will have this marked. If you need a review of where to find the foot spot, see this post about pool table anatomy. Make sure you have a stripe and solid in each bottom corner of the triangle. The other balls should be placed randomly in the triangle without any purposeful or intentional pattern. To avoid clustering, you can make sure don’t have more than two solids or stripes in a row. Learn more about how to play 8-ball. In 9-ball, there are nine object balls numbered one through nine. These balls are racked in a diamond formation. There are diamond racks for this purpose. However, if you don’t have one, just create the diamond within your triangular rack. The one-ball must be at the apex of the diamond and placed on the foot spot of the table. The nine-ball must be in the middle of the diamond. The other balls will be placed in the diamond without any intentional patterns. Ten ball is played with (you guessed it) 10 object balls, number 1 through 10, plus the cue ball. In ten ball, you rack the balls in a triangle shape and place the one ball at the apex of the rack on the foot spot. The ten ball is placed in the middle of the triangle. The other balls are placed randomly within the triangle. For the opening break in a game of straight pool, all 15 object balls will be racked in the triangle with the apex ball on the foot spot. During the game, when the balls are re-racked, you will leave out the apex ball if only 14 balls are being racked. Cutthroat uses a standard triangle rack with the one ball on the foot spot, and the 6 and 11 balls on the two bottom corners of the triangle. All other balls must be placed at random with the rack. 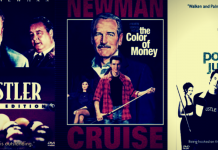 Learn how to play cutthroat pool here. In all the games listed above, the players are instructed to create as tight a rack as possible. 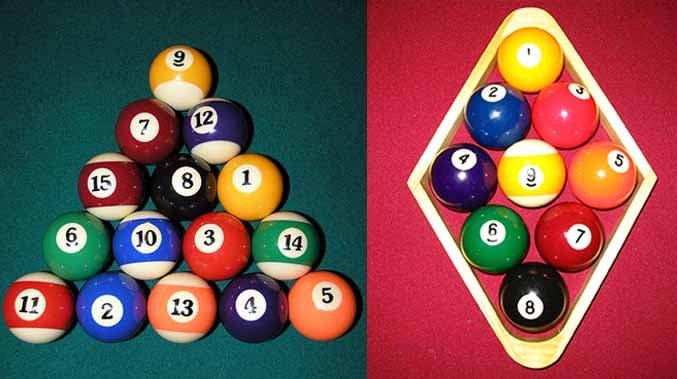 Since this at the heart of any game of pool, let’s take a look at how to achieve a tight rack. Whether you’re using a triangular or diamond-shaped rack, you always want to make sure you create the tightest rack possible, with minimal if any gaps. You start by placing the one ball at the apex of the rack. Let the ball settle into position, then fill in the remaining balls behind the one ball, placing the nine-ball in the middle. Tighten the 9-ball rack by pushing forward with both hands and applying downward pressure. If balls move out of place after you’ve tightened, try spinning the outer balls towards the middle. This will create some friction from the felt fibers to secure the rack a little better. If you still notice some gaps, try changing the pattern and rotating balls until you find a tight fit. Don’t take too long though; we can’t expect perfection here. When the rack looks tight, remove it from the back first. Lift the back and then slide the front forward away from the top ball. Once you have all the balls in place, slide the whole rack up to the foot spit in one swift movement. This will sock the balls into place. Then apply pressure with your fingers by placing them in the gap behind the last row of balls and pushing forward. Again, if you see gaps in the rack, it may be because the balls are slightly misshapen, damaged or warped. Try to move the balls around and rotate them to find a better fit. When the rack looks good and tight, lift the triangle from the back to front very gently. Try not to displace any balls when removing the rack. According to the rules, you cannot touch the balls after the rack has been removed. So, try to get this right. Of course, when playing a friendly game at home or in the bar, it’s more of a courtesy to fix the rack and get it right before the break. If you want to foolproof this process and eliminate loose racks all together, you can try something like the Magic Rack.